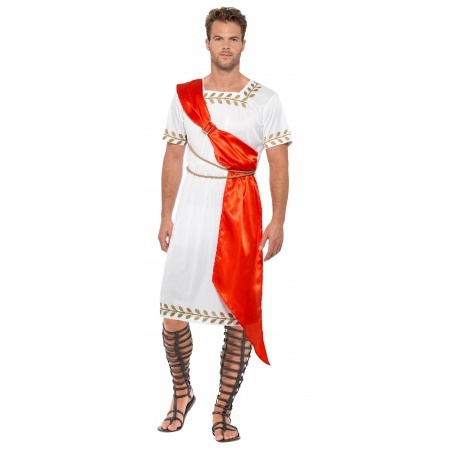 Our Roman toga costume for men includes the printed toga with attached drape and belts. 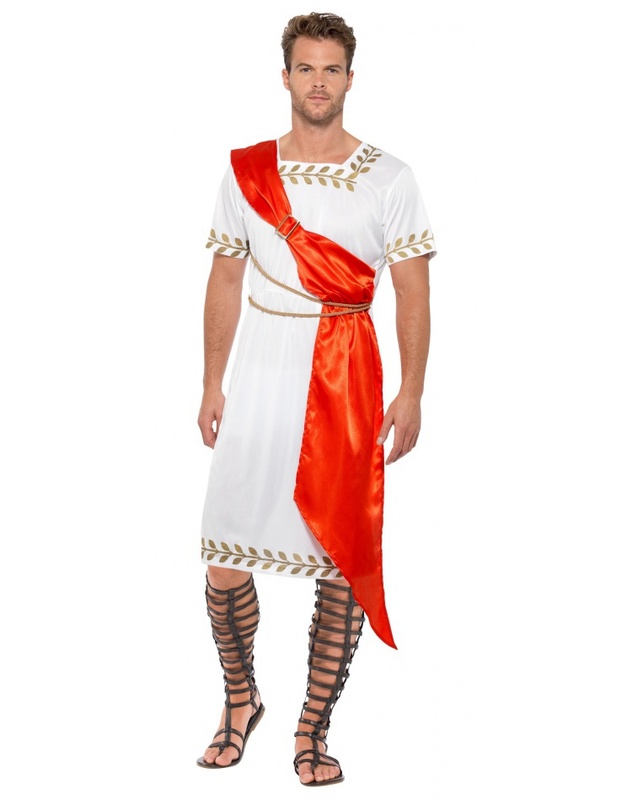 Our Julius Caesar costume comes in adult sizes X-Large, Medium, Large. The leaf headpiece and toy sword are not included with the Caesar costume.